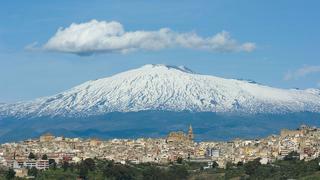 Sicily, the largest island in the Mediterranean, is a vast melting pot. Over the last 3,000 years it has been governed by rulers from 13 different cultures leaving an incredible mix of local customs, exotic food traditions and diverse architecture on the island. Charter a superyacht in Sicily, or take your luxury yacht there, and you will find a mix of cultural and scenic attractions to fill any itinerary. Day 1: Riposto and Catania On day one you can rendezvous with your luxury yacht at the Marina di Riposto — a great base for visiting Mount Etna and Catania, which was destroyed by an earthquake in 1693 and has been rebuilt in the Baroque style. Inland, for a lazy day in the sun, there are a variety of beaches in this area including the Playa di Catani with its golden sand, the Faraglioni beaches, which are composed of lava rock, and the Riviera of the Cyclops Marine Protected Area. Check out the summer festivals, which include the Feast of Saint Peter, the Patron Saint of Riposto (June 29), Madonna del Carmelo (July 16) and Madonna della Lettera (August 15). 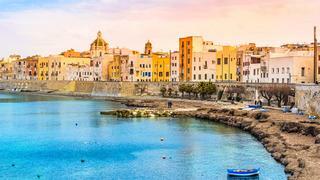 Sicily, the largest island in the Mediterranean, is a vast melting pot. Over the last 3,000 years it has been governed by rulers from 13 different cultures leaving an incredible mix of local customs, exotic food traditions and diverse architecture on the island. Charter a superyacht in Sicily, or take your luxury yacht there, and you will find a mix of cultural and scenic attractions to fill any itinerary. On day one you can rendezvous with your luxury yacht at the Marina di Riposto — a great base for visiting Mount Etna and Catania, which was destroyed by an earthquake in 1693 and has been rebuilt in the Baroque style. Inland, for a lazy day in the sun, there are a variety of beaches in this area including the Playa di Catani with its golden sand, the Faraglioni beaches, which are composed of lava rock, and the Riviera of the Cyclops Marine Protected Area. Check out the summer festivals, which include the Feast of Saint Peter, the Patron Saint of Riposto (June 29), Madonna del Carmelo (July 16) and Madonna della Lettera (August 15). By the time you’re awake you’ll probably already be underway on the 43 mile passage from Riposto to Syracuse. Once a powerful Greek city that rivalled Athens , Syracuse is the birthplace of the Greek mathematician and physicist Archimedes. The architecture here is predominantly medieval with some Baroque palaces and churches. With your yacht docked at the Foro Italico pier, you’ll be just steps away from the peninsula of Ortigia, the hub of the historic centre with its architectural highlight the Cathedral. There are a variety of inland excursions worth taking, including to the town of Noto, which is a UNESCO World Heritage site; Avola, famous for its monumental sites and Piazza Armerina with the famous Roman Imperial Villa del Casale and the Vendicari Natural Reserve. By the time you’re awake you’ll probably already be underway on the 43 mile passage from Riposto to Syracuse. Once a powerful Greek city that rivalled Athens , Syracuse is the birthplace of the Greek mathematician and physicist Archimedes. The architecture here is predominantly medieval with some Baroque palaces and churches. With your yacht docked at the Foro Italico pier, you’ll be just steps away from the peninsula of Ortigia, the hub of the historic centre with its architectural highlight the Cathedral. There are a variety of inland excursions worth taking, including to the town of Noto, which is a UNESCO World Heritage site; Avola, famous for its monumental sites and Piazza Armerina with the famous Roman Imperial Villa del Casale and the Vendicari Natural Reserve. An early start brings you to Marsala, on the west side of the island and 160 nautical miles from Syracuse, eponymous home to the sweet wine which has been in production here since the 1700s. For further cultural exploration, The Museo Archeologico Baglio Anselmi houses important Phoenician artefacts and was once an old warehouse where the wine was produced. Visits to the Florio and Donnafugata wineries provide opportunities for wine tasting and discovering the winemaking process. This part of Sicily is an undiscovered gem: good, secluded beaches can be found along the coast between Marsala and Trapani. An early start brings you to Marsala, on the west side of the island and 160 nautical miles from Syracuse, eponymous home to the sweet wine which has been in production here since the 1700s. For further cultural exploration, The Museo Archeologico Baglio Anselmi houses important Phoenician artefacts and was once an old warehouse where the wine was produced. Visits to the Florio and Donnafugata wineries provide opportunities for wine tasting and discovering the winemaking process. This part of Sicily is an undiscovered gem: good, secluded beaches can be found along the coast between Marsala and Trapani. Just 28 miles from Marsala, Trapani is perfectly placed for those interested in additional trips to explore the culture and natural history of the region. In particular, the Egadi Islands, which are a very short distance from both the ports of Marsala and Trapani, provide spectacular clear blue waters and a variety of geological riches including marine grottos and soaring cliffs. In Trapani itself, Summer festivals include St. Albert, Patron Saint of Trapani (August 17) and Assumption/Ferragosto (August 15). 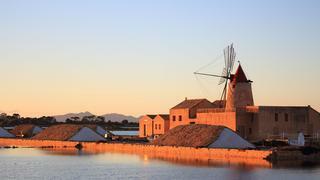 Just 28 miles from Marsala, Trapani is perfectly placed for those interested in additional trips to explore the culture and natural history of the region. In particular, the Egadi Islands, which are a very short distance from both the ports of Marsala and Trapani, provide spectacular clear blue waters and a variety of geological riches including marine grottos and soaring cliffs. In Trapani itself, Summer festivals include St. Albert, Patron Saint of Trapani (August 17) and Assumption/Ferragosto (August 15). 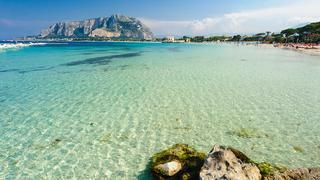 A morning’s cruise will bring you to Palermo, Sicily’s history-rich capital. Its exotic influences are reflected in its architecture and cultural traditions: a mix of Asian, African and European. Its principle historic attractions are the Cathedral, the Royal Palace, the Capuchin Catacombs and the Monreale church. Palermo is a large town, but easy to get around if you use the main streets of Via Roma and Via Maqueda as reference points. 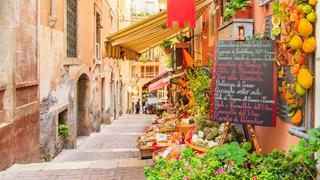 As well as culture and history, the food is good too — there are some great restaurants in the city, including Le Antiche Mure, Charme, Charlestone and Pizzo & Pizzo. A morning’s cruise will bring you to Palermo, Sicily’s history-rich capital. Its exotic influences are reflected in its architecture and cultural traditions: a mix of Asian, African and European. Its principle historic attractions are the Cathedral, the Royal Palace, the Capuchin Catacombs and the Monreale church. Palermo is a large town, but easy to get around if you use the main streets of Via Roma and Via Maqueda as reference points. As well as culture and history, the food is good too — there are some great restaurants in the city, including Le Antiche Mure, Charme, Charlestone and Pizzo & Pizzo. Cefalu, just a short 29 mile hop from Palermo, is a small town with an imposing Norman Cathedral. History buffs can enjoy inland excursions, for example, to the Park of Madonie with its characteristic villages perched on the side of a mountain and wine tasting at one of the island’s best wineries. Those who are more interested in sport can make the 30-minute drive from the port of Cefalu to the Madonie Golf Resort. 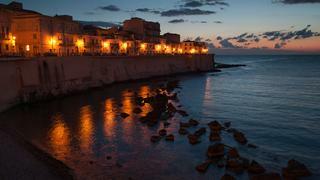 Restaurants that are highly recommended include Lo Scoglio Ubriaco, Trappito or the Vecchia Marina. 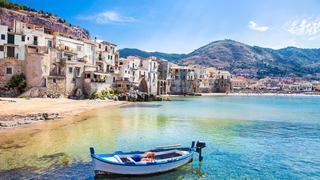 Cefalu, just a short 29 mile hop from Palermo, is a small town with an imposing Norman Cathedral. History buffs can enjoy inland excursions, for example, to the Park of Madonie with its characteristic villages perched on the side of a mountain and wine tasting at one of the island’s best wineries. Those who are more interested in sport can make the 30-minute drive from the port of Cefalu to the Madonie Golf Resort. Restaurants that are highly recommended include Lo Scoglio Ubriaco, Trappito or the Vecchia Marina. An early morning start will allow a stop off at Taormina before returning to Riposto where you’ll disembark to fly from Catania. Taormina is a well known, enchanting little town with flowering balconies along every street. The Greek Amphitheatre, built in the third century BC, is home to concerts and theatre productions throughout the summer and offers a great view of Mt. Etna, which is Europe’s largest active volcano with four live craters at the summit. An early morning start will allow a stop off at Taormina before returning to Riposto where you’ll disembark to fly from Catania. Taormina is a well known, enchanting little town with flowering balconies along every street. The Greek Amphitheatre, built in the third century BC, is home to concerts and theatre productions throughout the summer and offers a great view of Mt. Etna, which is Europe’s largest active volcano with four live craters at the summit.